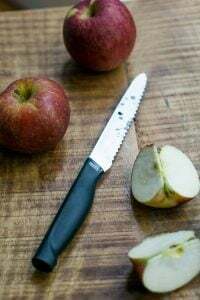 When I started this site back in 1999, I had forums, where people could chat and post messages about food and cooking. As the blog evolved, we had to say goodbye to it, but one question lingered: Is couscous pasta? My contention was that it wasn’t since couscous doesn’t start out as a ‘paste’ (or as the French would say, un pâte), which is the foundation for pasta. On the other hand, perhaps it is pasta, because couscous is flour mixed with water, then rolled until little granules form. To make matters even more complicated, there’s Ptitim, also known as Israeli couscous, whose springy, chewy texture wouldn’t raise an eyebrow if someone called it pasta. The issue was never resolved, but if anyone had any problems with Israeli couscous, they can take it up with its toasted, brawny Italian cousin, fregola sarda, or maftoul, from Palestine. This is one of my absolute all-time favorite dishes and I’ve been meaning to share it forever here. 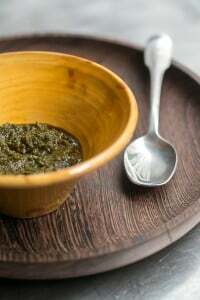 I make it constantly since it goes well with any kind of grilled or braised meat, fish or poultry. It’s also great vegetarian fare, on its own, or paired with roasted vegetables. It can also be made it advance and I’ve made it for large parties and it reheats beautifully. The original recipe calls for golden raisins, but I sometimes toss is a few dried cranberries too, which give it a holiday feel. Or dried sour cherries, which are wonderful if serving this with a lamb dish, such as lamb tagine. 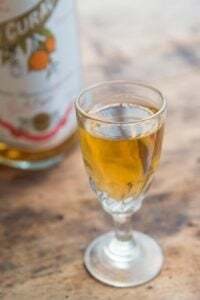 This recipe came from an old Gourmet magazine, the long-gone classic, which took us around the world, table-by-table, and recreated (and created) some very interesting recipes, such as this one. Like a perfect Caesar Salad, all the ingredients come together just right in this dish, without one dominating the others. So I never veer from the recipe because it’s so well-balanced. 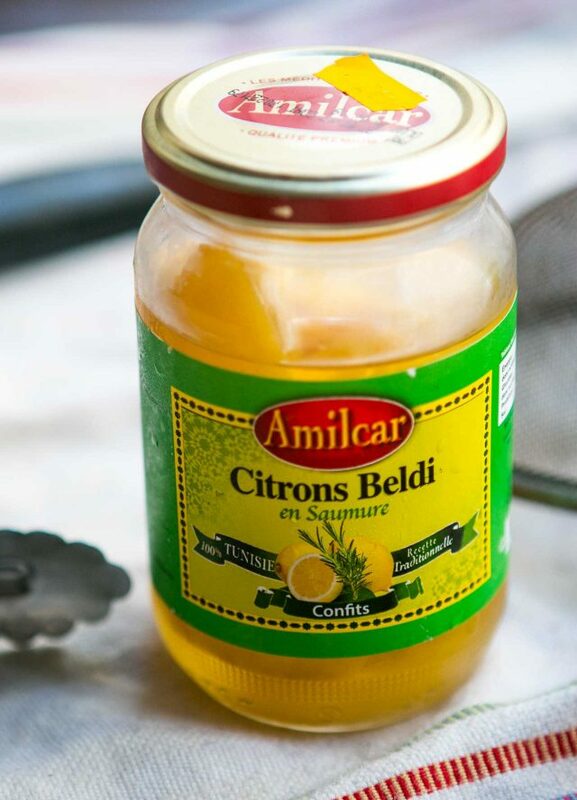 It calls for preserved lemons, which you can make (which you’ll need to start a few weeks in advance or buy at Middle Eastern markets, or online. When shopping for the other ingredients, but sure to buy two large bunches of flat-leaf parsley since it takes a lot to make the required amount. Curly parsley doesn’t have the same herbaceous flavor, so I don’t recommend it—unless you live in a flat-leaf parsley-challenged place. Pine nuts are wonderful in this dish, although I avoid the Chinese ones, and try to find pine nuts from Italy, Spain, or elsewhere. They’re pretty expensive, but lend a wonderful flavor to the couscous. You can swap out coarsely chopped pistachios for them, and for the raisins, I’ve substituted dried sour cherries, which add a nice bit of tartness. Adapted from Gourmet magazineI don’t recommend making any changes to this dish. The preserved lemons are pretty important; their salty-tang hits just the right notes with the other ingredients. If you can’t get butternut squash, though, you could use sweet potatoes, another squash, or pumpkin. Whatever you use, be sure not to overcook it.For some reason, golden raisins meld in perfectly and their darker counterparts just don’t seem right to me. That said, I do like dried cherries (or dried cranberries) in this very much, and they’re especially festive around holidays. So feel free to add them, as directed. Preheat the oven to 450F (230C). 1. Cut the squash into 1/4-inch (1 cm) cubes and toss them with 1 tablespoon of olive oil and a seasoning of salt in a large baking dish or pan. 3. While the squash is cooking, heat the remaining 2 tablespoons of olive oil in a skillet and cook the onions over medium-high heat with a bit of salt until translucent. 4. As the squash and onions are finished, scrape them into a large bowl. 5. Bring a large pot of salted water to a boil and cook the Israeli couscous with the cinnamon stick until tender, about 10 minutes. 6. While the couscous cooks, cut the preserved lemon in quarters and scoop of the insides, which you should reserve. Dice the lemon into 1/4-inch (1 cm) cubes, add them to the squash, then press the reserved flesh through a strainer to extract the liquid, and add the liquid to the squash. 7. Drain, but don’t rinse the couscous. Discard the cinnamon stick. 8. Add the couscous to the bowl of squash, then add the raisins, cherries or cranberries (if using), ground cinnamon, parsley, and toasted pine nuts. Serving: Serve warm, although it can also be served at room temperature. Do-Ahead Tip: You can make this ahead, up to one day in advance, and rewarm it before serving. If so, leave the parsley and toasted pine nuts out, and mix them in right before serving. Note: To toast pine nuts, spread them on a baking sheet and toast them in a 350F (180C) oven, checking and stirring them frequently, until nutty-brown, as shown in the photo in the post. 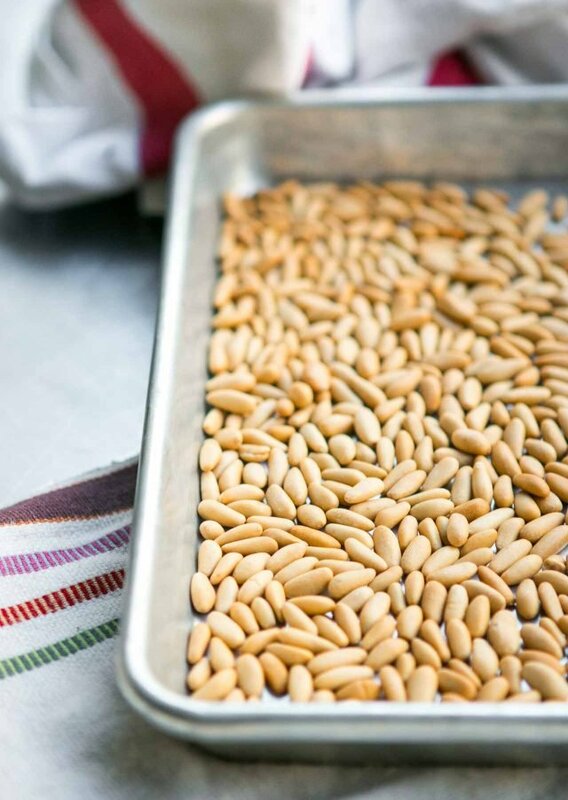 Pine nuts burn quite easily so begin checking them after 4-5 minutes, then keep a close an eye on them after that. This looks amazing, David — I definitely want to give it a try. A question for you…I have some wonderful preserved limes at home that I haven’t used in anything yet. Do you think they would be wrong for this dish, or would that be a reasonable substitution? This looks and sounds delicious. I like that the recipe says to cut the squash into such small dice as it’s in scale with the rest of the ingredients. all I seem to see, even when mixed with smaller ingredients, are big chunks of root vegetables. I will miss Gourmet, too. They never failed to bring delicious and interesting foods for their readers to try. I can’t seem to get myself to take a liking to pine nuts. Since toasted walnuts are given as an alternative in many recipes, would they be a good alternative in this one? I just moved to Israel, and they sell huge bags of Israeli couscous, alongside mounds of fresh spices, in the Jerusalem market! I can’t wait to buy a big sack when I go tomorrow. Maybe I’ll make a batch of preserved lemons too. Just wanted to comment – the “Israeli Couscous” pictured above is actually toasted pasta. In Hebrew, we call it “Ptitim”, and this variety is couscous shaped, hence the mess up with real couscous. Israeli children eat it with schnitzel and ketchup, and it has nothing to do with real couscous. For readers in Australia, golden raisins are sultanas. And this salad is fab! This looks yummy but where do you find dried cherries in Paris? Last year around this time, I looked everywhere and finally gave up. 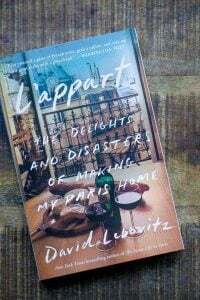 Surprisingly, there are dried cranberries at the neighborhood Franprix for about what you’d pay for them in the U.S.
Oh David I am so excited that you posted this recipe! 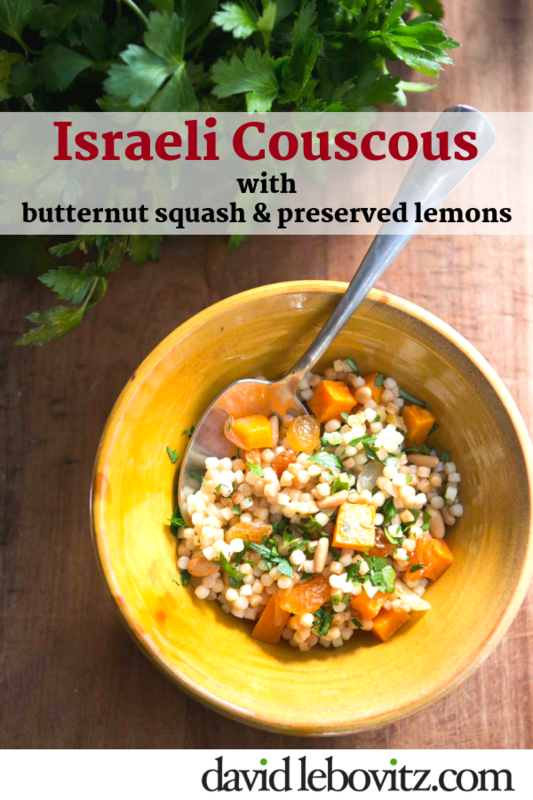 I have been searching for new ways to cook Israeli couscous and preserved lemons. A trustworthy Gourmet recipe is the perfect one to try. Thank you! This looks really good! Can’t wait to try it! I’ve been wanting to make preserved lemons for a long time and I now have the perfect reason! 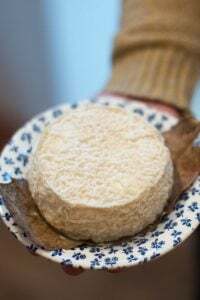 Call it what you will, I love it – and this particular recipe I must try. David your photos in this post are beautiful. They are always lovely, (especially the Cognac posts), but the colors and textures and ‘wetness’ you capture here – truly gorgeous. 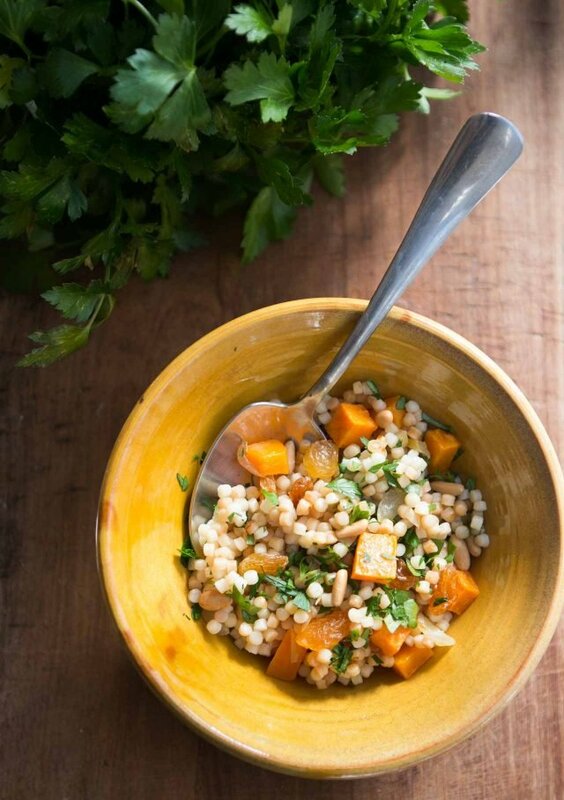 Butternut squash and Israeli couscous are two of my favorite things to cook with. And with preserved lemon, yum. I have to admit, I got really excited when I saw the photo because I thought the dark specks were finely chopped olives. Raisins are good, but olives are my favorite thing ever. Hmmm…I wonder if they’d work instead? I imagine they’d compliment the lemon nicely, but not sure about them with squash. “It can also be made it advance and I’ve made it for large parties and it reheats beautifully.” there are not many side dishes in my repetoire that I can say that about, and since I love all of the components separately, I know I would appreciate the composed dish. Plus it’s purty. Thank you for sharing this recipe! Despite my love for Moroccan food, I haven’t made preserved lemons yet. This looks delicious… I never thought of couscous as pasta, actually. This would be a good way to use preserved lemon for the first time–it’s less scary when combined with delicious ingredients like butternut squash. Thanks for sharing this recipe. I have never really known what do with Israeli couscous. I feel that it is one of those things I should like and use and cook. I bought a box on this theory some time ago, and it has been sitting on the shelf with only one trip to the stove, for an unsuccessful recipe. Butternut squash, preserved lemons and pinenuts are thoroughly appealing, so that box of Israeli couscous will be finally be given another chance. Thanks @Essjayeff, I was wondering about the golden raisins. What a fantastic recipe David! I’m always looking for preserved lemon recipes. Are you blog stalking me? lol…I just made couscous yesterday. The way I see it, with change people will always get scared. Traditional media outlets are becoming defunct. But think of all the trees we will be saving. Maybe we are just going green naturally. I won a Best Blog award, I selected you as a winner of the Best Blog award. See the following link for details. I love your recipies, and the photos are “eye candy”…just gorgeous. I love living vicariously through you! 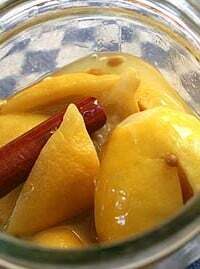 Oh, I love making preserved lemons (I have a lemon tree in my garden), and I love finding a new recipe to use them up. Our family is gluten-free, though, so I’ll either substitute drained quinoa or steamed & drained cauliflower (pulsed raw in a food processor to the size of couscous) instead of couscous. The first photograph is couscous enticement in a spoon. Fabulous! Now I have to go eat chile verde over rice when I really want me some – NOW! 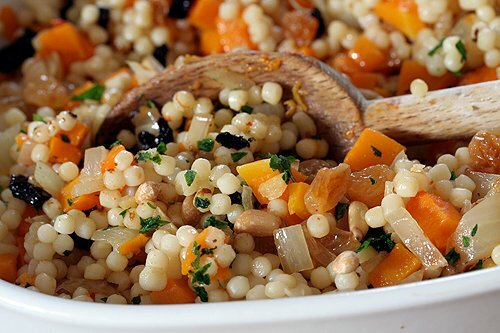 – couscous with butternut squash and preserved lemons, yum. Thank you, Gourmet. Thank you, David. Couscous is not pasta. However “Israeli couscous” is not couscous at all — it’s not even called couscous in Israel, but ptitim. Unlike couscous, however, ptitim are pasta — it’s baked pasta. I LOVE Israeli Couscous and Butternut squash!!!!!!! WOW!!!!!! Can’t wait to try this recipe……………………….. I continue to love reading your blog and looking at your BEAUTIFUL food photos. Thank you!!! 1 large onion, sliced, 4 cloves garlic, carmelize them. Add 3 pkg of israeli couscous and brown like you are making risotto. Add three cans chicken broth and cook til done. Sliced tomatoes, kalamata olives. cilantro, feta and little olive oil. Fluff till blended. Serve. Yummy. Genie: I’ve never had (or even seen) preserved limes so can’t advise. Where do you get them? Or did you make them? Susan: I don’t know about walnuts, but I would perhaps try almonds or hazelnuts. Anna: Yes, do give this a gluten-free try. You could also use a gluten-free pasta, made with rice flour or another grain, as well. But the cauliflower sounds delicious. yeara: The pasta balls that I used were called “pepe”, and from Italy, and they weren’t roasted. Or at least they don’t look that way in the photo of them in the measuring cup. I do have some fregola sarda, which is toasted, and want to give that a try sometime. 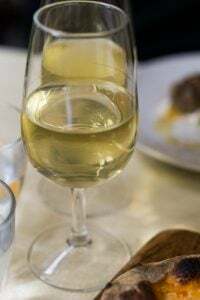 But perhaps a trip to Israel is in order for a tasting! I know, I know, you said not to make substitutions, but would you think this would work with quinoa instead of couscous? Can’t have it (gluten intolerant). I love the mix of flavors going on here! Alta: Anna, above, is also gluten-free and mentioned a few gluten-free alternatives. Since I haven’t personally tried them, I can’t say for sure how they’d work. If there is a gluten-free pasta out there is a similar shape, I would try that. If you try it, please let me know how it goes for you as I’m always interested in alternatives that readers come up with. David- your pictures make my mouth water! Literally!! David, the preserved rangpur limes were thanks to Robert Lambert, who sells his fabulous marmalades and chocolate sauces and the like at the Grand Lake Farmer’s Market in Oakland on Saturdays, although I’ve seen his sauces in stores at the Ferry Building and other places around the Bay Area. Here’s a little more information: http://www.robertlambert.com/store/salt.html (Although the limes are sold out, which is sad…). I just happened to stumble across them when I was at market one day and couldn’t resist, although hadn’t used them for anything until last night, when I tossed a chopped lime with some roasted green beans. 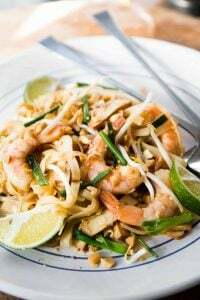 They’re absolutely heavenly, and since I have all the necessary ingredients for this dish, I’m going to give it a try tomorrow night and use the rangpur lime instead of preserved lemon. I’ll report back in some manner — possibly on my blog! No one in Israel knows Ptitim is called Israeli Couscous. In fact it is not even considered Couscous! I had a big laugh the first time I went to Dean-&-DeLuca and saw kid’s food called Israeli Couscous. That looks really beautiful. I’ve been looking for that kind of couscous for ages, so am really appreciating the close up shots, thanks. I see you found your use for your butternut squash with the weird neck! Good for you! Recipe and pics are very nice. I enjoy your “emails” and laugh a lot at them but respect your flare for good taste. Thanks for your “work”! I was making couscous as a side dish for fish the other day and for whatever reason got a craving for couscous with raisins. I’m so happy you posted this because I have some preserved lemons I made a while back that have been hanging out at the back of the fridge getting lonely. The sweetness of the squash and raisins sounds like it would be a perfect foil. One question though, would it be acceptable to serve this at room temp, like a (dare I say it) pasta salad? What do you do with the insides of the preserved, reserved lemons? Oop, reread the recipe again because I thought I was missing something. I was. Just a little dumb today. This looks so good I would make it right now if I had a preserved lemon!! I’m going to look for a jar today. Yup, as others have said, in Israel those things are known as ptitim. If you order couscous here, you’ll get the familiar Moroccan-style couscous. It’s quite funny if ptitim is being marketed as “Israeli couscous” in other places! That said, ptitim aren’t exactly an upscale dish in Israel, and I don’t think they’ve ever looked so good. Yay, my preserved lemons are just about ready! Perfect timing. This recipe looks absolutely amazing. Simplicity but genius at its best. Fab pictures. This is my dish! I mean, I am very attached to it, borderline territorial, as you can see. Back when I was [gasp] a vegetarian I used to bring this to Thanksgiving every year. I am happy to see I am not the only one enthralled with it. Now give it back. Cheryl: Yes, you press out the juices (and use them), but the pulp gets tossed when you’ve extracted out everything. deb: I was wondering why you hadn’t done this one yet? It’s the best…and no, you can’t have it back. This looks like a fabulous (and easy to convert) recipe Thanks! Quinoa, rice, brown rice pasta, the possibilities are endless =D. I just tasted pepitas side by side with pine nuts and they kind of taste somewhat similar. What do you think about using pepitas instead of pine nuts? I’m thinking dried cranberries and pepitas would be very festive looking. I am Moroccan and LOVE couscous. I’ve never had Israeli couscous or seen it at the store. 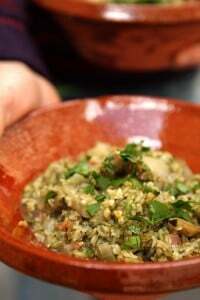 It looks light and versatile and reminds me of fregola a little bit. I would love to try it. Unfortunately, there’s a bit of an issue with pine nuts that are sold in the Netherlands, which is where I live. A lot of people (me included) have experienced that eating pine nuts sometimes makes your taste buds go bonkers, and everything you eat tastes like soap for days. It’s quite horrible! Right now, there’s a food safety investigation going on for the pine nuts that are available here. So, what would you recommend using instead of the pine nuts? 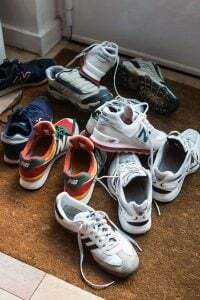 Ilona: The problem, they say, is mostly from Chinese pine nuts. (I actually have a post I’m working on schedule about that for the future.) So you can use Italian pine nuts, or try toasted and chopped hazelnuts. 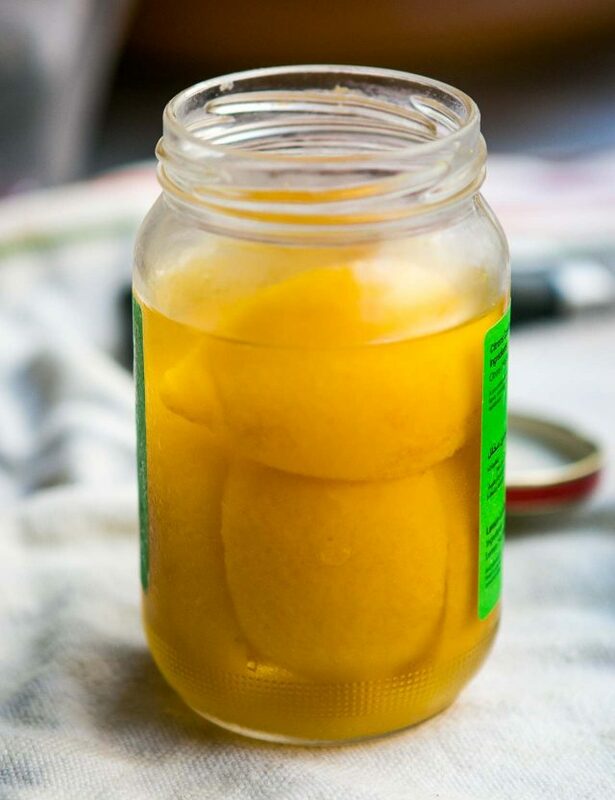 I’ve only ever eaten the lemons preserved in brine that you can buy at the grocery store, and I didn’t like them. They had a sort of strong chemically flavor that I associate with cleaning products. Are homemade ones better? If so, I will try making my own (directions seem easy enough). Just was wondering if there was a marked difference before taking on this little challenge. Megan: I would imagine in store-bought preserved lemons, there would be a variation in quality. I normally make mine myself, but have occasionally purchased them from an Arab olive vendor where they are floating in brine and they taste fine. Although not as good as homemade. Nice salad! I am always looking for new ways to enjoy the preserved lemons that I recently made. David, I couldn’t find any pine nuts from Italy, so I ended up toasting the seeds from the butternut squash, which tasted fine in this wonderful, wonderful dish! I made this dish for Thanksgiving dinner today and it was an unqualified hit! All I can say is wow – a superb combination of flavors, textures, and aromas, and it looks real pretty, too. Thank you for bringing this recipe to my attention. It now has a place at our Thanksgiving table for many years to come (and pot lucks, and parties, and just for the heck of it). Barbara: I go to Arab markets and they usually have small round pasta. Sabah is one that I frequent, by the marche d’Aligre. As an Israeli and as a daughter to a Moroccan mother I would like to add a comment to the question whether Israeli couscous is pasta. First keep in mind that couscous and Israeli couscous are not the same thing. What is called today Israeli couscous is basically pasta. There is a story behind it: in 1949, when Israel was under the regime of austerity (After the 48 war Israel’s population doubled it self in three years and there was not enough food, therefore there was rationing of food and citizens used food stamps.) rice was one of the things that were hard to find, even in the black market. Local food company started to produce pasta that looks like rice (similar to the Risoni pasta) it immediately received the name ‘Ben-Gurion rice’ (named after David Ben-Gurion, the prime minister of Israel 1948-53) and later was introduced over seas as Israeli couscous. I prepared this tonight for dinner with grilled lamb loin– superb ! Used pumpkin (which I did have to oven-roast for considerably longer than 15 minutes). Wonderfully satisfying dish. Thanks ! Thanks for this recipe! I made it tonight and it was smashing. I made this salad last friday night and it was absolutely delicous and easy to do. Loved it and was happy to see that it kept well in the fridge. I really liked the sweet and savoriness and the different textures. I made too much for us but was able to enjoy it over the weekend. I highly recommend trying this recipe! In fact I’m bringing it to a dinner party this coming friday! There appears to be an error in the weight conversion for the butternut squash. 1 1/2 pounds are roughly 680 grams and 1.25 kg are about 2 3/4 pounds. Going by be picture of the finished dish and the link to the ‘original’ recipe, I’m guessing it’s the kg figure thats the wrong one and the pound one that correct, but it would be nice to be sure before I attempt the recipe. David can you confirm? OMG. This was sooo good and a big hit with nearly everyone. I think I will make it over and over and over. And, I must agree with David’s advice not to make any changes. It is perfect.